Hi lovely people! Look at me go with this consistent posting! I am absolutely loving being able to do nails again. The problem is, I have so many ideas about things I want to do, I'm not sure what to do first! 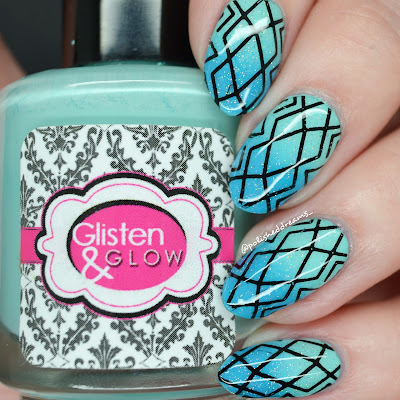 For now, I'm going to alternate between nail art and swatch blog posts so I can do a bit of everything and hopefully give you guys what you want too. This means that today is nail art day woohoo! I had a rummage through my stamping plates, picked some I really liked and then got my lovely boyfriend Alex to choose an image from one of them and the stamping polish colour. Read on to find out what I ended up with! To start my mani, I did a simple gradient using Glisten & Glow Bungee Jump in the Bahamas and Snorkel in St Thomas that I bought from Rainbow Connection. 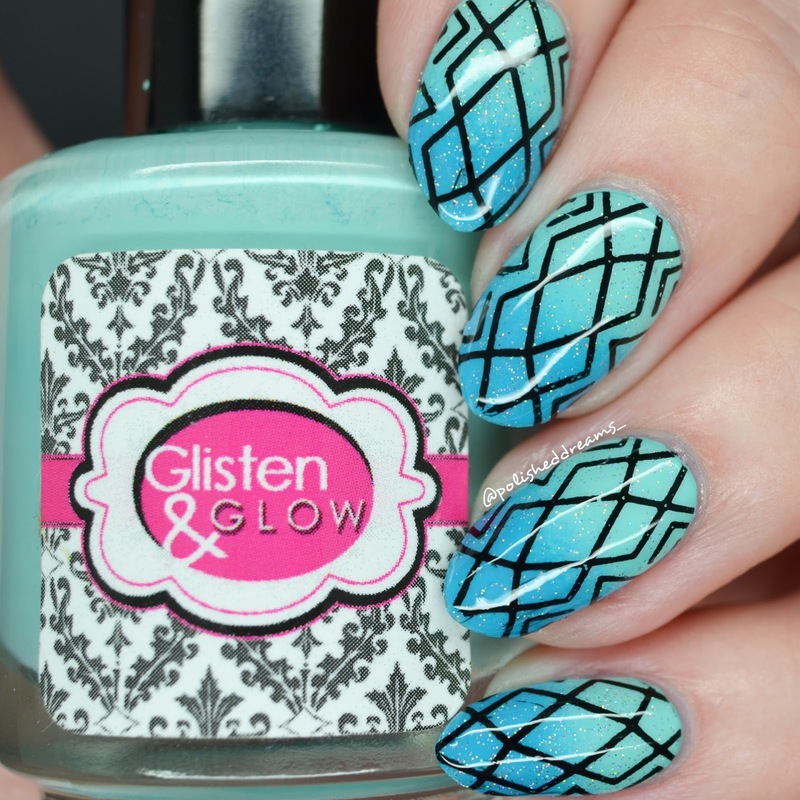 I absolutely adore these G&G polishes, they're so versatile and always look fab! Once the gradient was finished and dry, I added a little sprinkling of China Glaze Fairy Dust to make it that little bit more exciting. I actually asked Alex whether I should add sparkles and he said no but I decided to ignore him... Sorry babe! Next came the stamping. The image that Alex chose was from the MoYou London Minimal 05 plate and it was probably my least favourite image out of the 18 on the plate... Despite this, I actually really liked the outcome and had some lovely compliments from my housemate. I stamped using Painted Polish Midnight Mishchief that I also bought from Rainbow Connection. Finally, I added some topcoat which promptly smudged half my design.... Can't say I was too impressed. Bar the smudging, I'm really quite pleased with how this design came out. I'm going to apologise in advance because I feel like gradients might come up a lot in the next few weeks. There's just so many colour combinations and things I want to do! 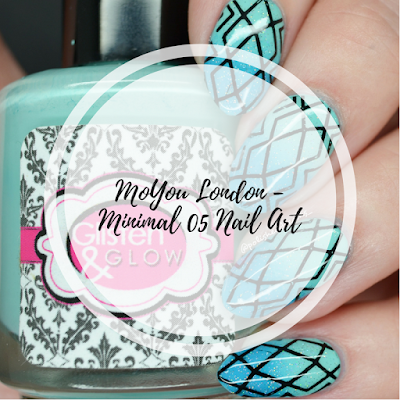 The MoYou London Minimal 05 plate is still available here for £5.99. I always forget how much I love MoYou London plates so I must dig them out more often! I have a couple of other mani's lined up using their plates so keep an eye out for those. Do you have any suggestions for particular nail art or tenchiques you'd like to see? Please let me know!